In another articule, “Why is Your Dog Growling at You”, I wrote about one of my dogs, Murphy, who guarded an old toy that I found partially buried in my front garden. My gentle Murphy went so far as to growl and lunge when I didn’t read her body language correctly. In the 6 years she’s been with me, she never behaved that way before nor has she since this incident. My guess is that there was a smell on the toy that she felt made it hers. While we don’t know what causes this behavior, animal experts say it could be at least partly related to genetics. Resource guarding dogs give off signals even to other dogs. The signals can include turning the head, staring at the other dog, a low growl. Usually the other dog will accept these signals and back away. Resource guarding between a dog and a person has to be handled a little differently. 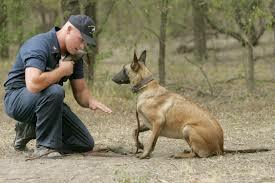 Your dog should be trained to respond to your command when asked to drop or leave an object. Dogs often choose dangerous things to play with or chew on so that obeying this command can save the pet’s life. Don’t try to use force to take something away unless the dog is in immediate danger. Consequences for both dog and human are not good. If your dog refuses to give up the object, there are ways of conditioning your dog to do as you ask. Renowned animal behaviorist, Dr. Patricia B. McConnell offers some tips to help. First, know which objects your dog guards. How close can you get to your dog before resource guarding kicks in and what is your dog’s response. Set your dog up with the object s/he guards. Choose a favorite treat for your dog, perhaps little pieces of cheese or small cut up pieces of meat or chicken. Enter the area but stop before you reach the point where the dog will react. Toss a couple of pieces of the treat, one at a time, to the dog. Then leave. If the dog follows you, don’t give further treats. Repeat this several times, only gradually shortening the distance between you and the dog. Do this until your dog’s body language tells you that s/he doesn’t stiffen as you approach and your dog appears happy to see you. When you are able to stand beside the dog, drop a treat and reach for the object without touching it. Repeat several times, as often as necessary, getting closer to the object. When you feel your dog is ready, take the object and at the same time give your dog a treat. Return the object to your dog so that s/he will know that you can be trusted with that special thing that means so much to your dog. Don’t touch the object until you can be fairly sure your dog won’t bite. Never place yourself in danger when conditioning your dog. Go as slowly as necessary so that your dog learns to trust you completely. If there is one object that’s the culprit, as in the case of my dog Murphy, you have the option of disposing of it. But continue training your dog. If you still have difficulty with resource guarding, seek the professional help of an animal behaviorist or consult with your veterinarian.